This handsome and rustic Bar Mitzvah invitation features a bottom layer of Taza card stock that has a wood grain appearance and feel. 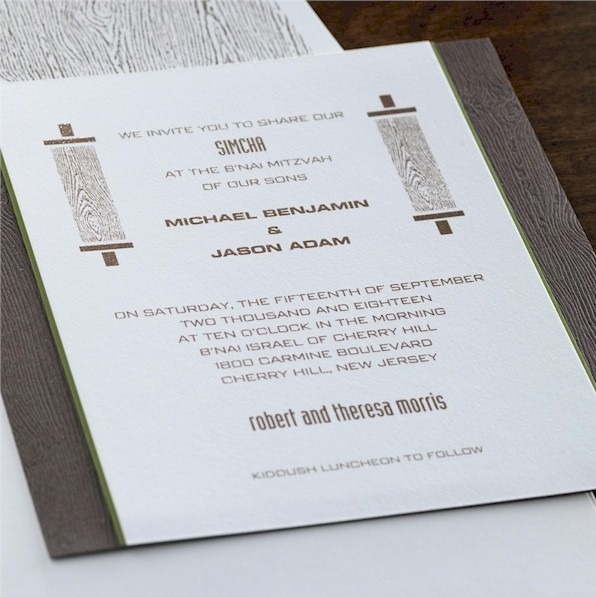 This handsome and rustic Bar Mitzvah invitation features a bottom layer of Taza card stock that has a wood grain appearance and feel. 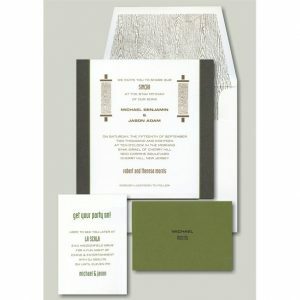 A Dublin-green layer is placed on top of the Taza, and a White card stock on top of that will showcase your wording. A pair of wooden scroll motifs appear on each side of your wording at the top. Measures 6-3/4″ square. 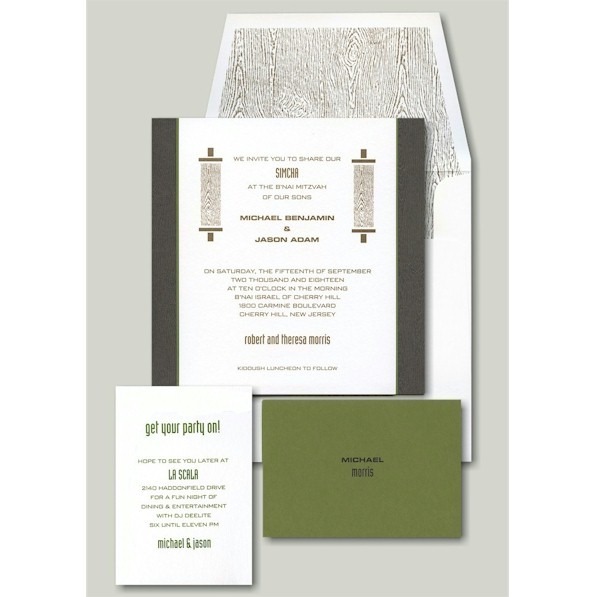 Invitation is shown with Taupe ink, Reception card with Olive ink, and Informal note is shown with Sable ink. Typestyles used are Banque, Industria and Waltham Bold Extended. The bright white handcrafted envelope is displayed in Mansart style and decoration DEC2075. The Reception and Response cards will print on single bright white card stock and the Informal notes will print on folding Dublin-green stock. Please note: Due to the square shape of this impressive invitation, additional postage is required. Please consult your local post office for details. 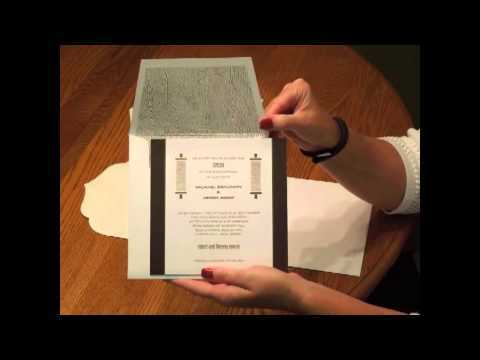 Envelopes can be lined for an additional charge of $0 per 25. Please select the quantity of envelopes to be lined.